An effective category management process can deliver great benefits to an organization. It usually leads to significant savings, reduced risk and it can reveal other sources of value and innovation from the supply base. Basically, it is a process that allows you to source more effectively and then to get even more value from constantly optimising the resulting contracts. This happens by bringing together products or services that have the same features and are bought from similar supply markets. However, this is just the start. In order to succeed in category management, you will require an effective process to do it. It is the responsibility of organizations to invest in resources. This is mainly done to get a thorough understanding of their supply chain, identify opportunities, and make informed decision making. In other words, the best practices in category management help identify and assess the supply market, evaluate supplier options, and monitor supplier performance. This depends largely on the process you choose which will help you achieve the goals you set for your brand. In short, it is the key to your success. Your process will set you apart from your competition and will establish your brand as a true leader. The first and foremost way to get going is through an efficient training and development program. This is how your employees will learn about how to be successful in category management. The key is to go for an engaging and interactive training which will allow learners to grasp maximum knowledge and skills. In this way, they can actively apply what they are learning in their daily jobs. Through innovative training solutions such as simulations, gamification, webinars, scenario-based video training etc., employees are much more focused in their training and are more likely to complete their courses. Therefore, this will guarantee productivity and increase profitability. For example: the innovative training solutions at Procurement Academy will teach staff how to apply their skills to run the category management process successfully. Each of these phases consists of executing steps. For instance, developing a communication plan is a step in the initiation phase. Developing a cost breakdown is a step of the second phase, analysis. Some steps are sequential and need to be completed before moving on, other steps happen in parallel, and some run throughout the entire process. Some steps require more time investment than others, although this depends on the category. Category management is not a one-off initiative it is a continuous process that is run category per category. Once the process for a specific category is completed it must be evaluated. The lessons learned will allow adapting the category strategy to changes in the supply market or changes in stakeholders needs. To implement an effective category management process requires dedicated resources. To determine whether it has a role, you need to assess whether there is a return on investment. Portfolio analysis will enable you to profile the category (value of expenditure, supply market difficulty and risk) to assess the most suitable sourcing method and determine whether a category management approach is appropriate. 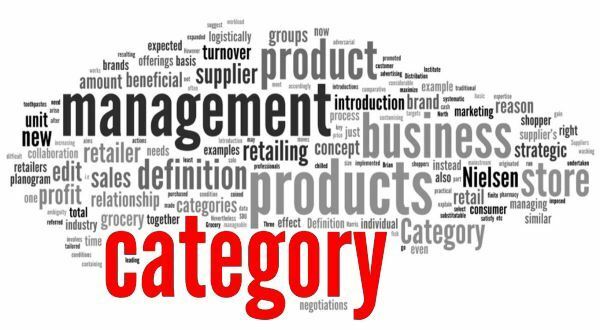 What is needed for successful category management? In order to identify additional improvement opportunities, continuous analysis of spend, market data, and benchmarks are needed. Continuous stakeholder discussions and reviews to ensure that all affected parties are involved in decisions on the category. Through an efficient category management plan, your company will be able to work with suppliers to speed up the time between initial adoption and full implementation. At the same time, also providing a layer of continual strategy adjustment once a new supplier or contract has been initiated. Since the category manager is the one responsible for all things related to a given project or managed service (gather requirements, collect bids and negotiate contracts), time is freed up for business people to focus on their jobs and deliver better value. Category management allows you to establish single points of contact within your organizational structure, and maybe even roll those up into an account management structure. Therefore, coordination takes place at the highest level and specific tasks are delegated out at the business unit or functional level. Hence, clarifying and streamlining communication in that way usually improves relationships. When nobody owns a category, there’s no one who can say whether the spending that’s being reported is accurate or not, because they’re not seeing all the contracts coming in. They don’t know the full list of suppliers, or the full extent of spending. Category management is a continuous process and it forms the basis for successful strategic sourcing initiatives. This can only happen when the process is well managed and is given the right level of attention. A good starting point would be taking the initiative to provide a good training and development program to improve skills.